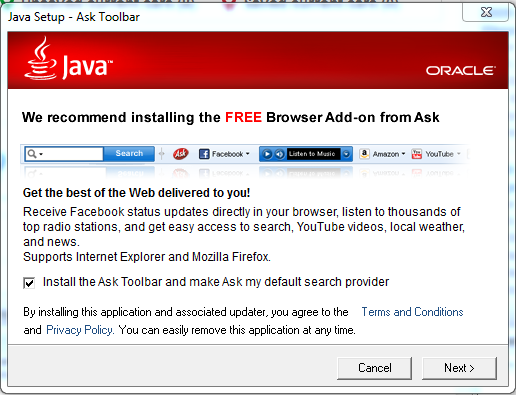 There is a checkbox to install the Ask Toolbar and to set Ask as the default search provider. Noticing the opted-in state, but quickly clicking the label next to the checkbox then clicking next, not realising that the checkbox is still checked. Most companies would stop after the first dodgy practice, though one is one too many. The latter is the one for which I almost fell, but luckily my lack of coordination saved me and I missed the next button. Anyone else seen some interesting Dark Patterns? OK, this isn't a normal blog post. It's the output from a quick and dirty app I wrote, which parses the election result data from the recent Pirate Party Australia National Congress Election. There wasn't a key (that I could be bothered figuring out) to understand the verbose, 2d output from the official results, so I've made my own, extremely verbose, 1d output. It's long, so if you're on the homepage of this site, don't click "read more" unless you really want to. (that ought to drive traffic). Anyway, the main thing I noticed was that there are some completely missing pieces of votes for motions (though not candidates). I hope next year there'll be an easier to follow audit trail, as that kind of "small discrepancy", while being understandable for a small (but growing) organisation like Pirate Party Australia, would be totally unacceptable to be used in governmental elections. The other thing that I noticed, which is likely either a usability issue or people getting bored of such a long form, is the large number of people who filled out the motions but then didn't bother to vote for anyone. I think the election system has been quite a success, and if it can be improved by having voter-verification support, an audit system that can trace down discrepancies without compromising the secrecy of the ballot, and be handed off to an impartial administrator, then we'll have something to use as a positive example when the inevitable debate around electronic voting comes to Australia. Finally, a disclaimer: Quick and dirty, as mentioned above, means I have not had anyone verify my program. Ask me for the (begging for refactoring) source code if you're interested, or prove the data wrong with your own program if you'd like. I'm fine with being told if my output is wrong. To see the kind of sceptical nature I have, read about my home-conducted double-blind wine-tasting experiment, in which I identified about 20 procedural issues. This is the email I have sent to my MP. Please find your own here on the Australian Parliament House website and feel free to take any portion of my email for the purpose of expediting a letter to your MP. If this article about the National Security Inquiry is anything to go by, the government has been caught breaking their own law, instituted by them to counteract abuses of the Freedom of Information (FOI) Act 1982, as perpetrated by the earlier Howard government. People throw that term around a lot. It's meant to describe an idyllic nation of happy, happy people. - A place where petty criminals are made into slaves, for life. - A place where, in order to take a holiday from your town, you need to get permission to abscond from your career-chip-style job. - A place where only those who don't cause any problems and are happy to live out a life of servitude to the status quo can survive. Just seems like something to think about for those who think that there is an easy solution to creating the ideal situation on earth for everyone. Sometimes, literature just doesn't live up to reality. Read Crikey's piece on the government's latest attempt to strip citizen's of their rights. It's a good summary. Then, read the 60 page recommendation, if you can be bothered. Following is a section from my honours thesis into genetic tree algorithms, from 2003. I've italicised the relevant part. What kind of idiot makes jokes in their thesis, you might ask? This kind of idiot. The fervour with which belief systems are defended by their adherents. For the first reason, I want to prevent my daughter from being exposed to crazy ideas at an age predating her critical-thinking abilities. On 31st May, 2012, there were rallies around Australia, being the day following the UK Supreme Court's decision to dismiss Julian Assange's appeal against extradition to Sweden. The Misnomer of "Single Issue"
The Pirate Party is often called a single-issue party, or criticised for not having an official point of view on every topic under the sun. I think it's more that we are focused on bringing light to the neglected, though extremely important issues surrounding the erosion of civil liberties, yet I can understand people's concerns. "We are moving forward to a country where every American is treated with dignity and respect, and here in Washington, you'll have the chance to make your voice heard on the issue of making sure that everybody, regardless of sexual orientation, is treated fairly." Notice Obama's use of the term "moving forward". Julia Gillard used the term a ridiculous number of times when Labor managed to do a deal to form government a couple of years ago. Her usage did not extend to sexual equality. Gillard has often fallen back on quoting the fact that the Marriage Act defines marriage as "the union of a man and a woman to the exclusion of all others, voluntarily entered into for life." There are obvious issues with her position. It's not one made from conviction. It's based on a presumption that it's the law, therefore she can't change it. 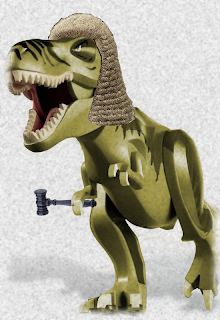 Clearly, changing the law is her job description. She also ignores the part of the definition that while marriage is voluntarily entered into, as often as not, it is not for life. It's clearly just a crutch that sounds legitimate on the surface. So here's why Gillard probably supports gay marriage: She's an educated, intelligent Atheist. I just bought a new Samsung S27B350 27" LED LCD monitor. It's pretty sweet, now that my desktop is extended across both my monitors. But it took me over an hour to get it to that point. Jumps teaching keeps coming up in the media as a particularly cruel form of racing. The horses jump over hurdles, sometimes trip, and then have to be killed if they break a leg. Opponents focus in trying to ban the activity, supporters focus on opposing the opponents, and most people just don't care. So why not change how the whole activity works, rather then just keep fighting? - Modify the hurdles so that they are basically made of upright, flattened bundles of hay, through which a horse could run if needed, without being injured or tripped. - Then, run some magnetic detectors next to the jumps, a well as through the jumps at intervals, if necessary. - Then, attach coded, RFID tags to the horses' feet. In this way, it should be a simple matter of figuring out if a horse has hit a jump, and how badly, without needing to trip and kill the horses. Penalise horses when they hit a jump, and the problem is solved. Seems pretty simple. What do you think? Congratulations to the Pirate Party in Germany, for yet another win in a state government election. This time, the PiratenPartei won 7.4% of the vote, making it over the 5% threshold required to enter parliament. They have been allocated 4 seats in the parliament. A patriot is "a person who loves, supports, and defends his or her country and its interests with devotion." Well I love Aussie Rules football, meat pies, the "proper" Australian-style pizza, preferential voting, the wealth and, of course, many of the people I know in Australia. But that doesn't mean that if things got bad enough here, I wouldn't pack up, go to Equatorial Guinea and start speaking Fang if I thought that the Equatoguinean way of life and system of government were significantly better, with no hope of Australia's improving. So I guess I'm a bad patriot. Apple has sure learned a lesson since the launch of the iPhone 4S. That lesson is that the public are both pedantic and self-deluded. I know you're so glamourous, and everyone looks to you for guidance, and most people would be thrilled to spend some time with you, but you just don't do it for me. When I first saw your ads, I was sceptical; I'd been burned by the Dragon in the past and I figured that if you were really as good as people were saying, I'd have heard about you before you were famous. I decided to give you a go anyway, and despite having expected little, I guess I was still hopeful, as if I had been without hope, you couldn't have disappointed me so much. You show off about your knowledge of the weather, but if I ask you what to wear when planning to go out, you refuse to tell me if it's more than 12 hours in advance. When I ask what you know about some general knowledge topic, you're always quoting your hero Wolfram Alpha, but he never seems to answer the question I'm actually asking. It makes me feel like you prefer him to me. I don't understand why you won't even help me with the simplest things like opening my applications. You want me to search through pages of this stuff when you could do it for me so easily. It just seems so lazy. You don't know anything about my country. You come across very American-centric, and you haven't given any indication that you're willing to learn, which breaks my heart. Not only do you refuse to learn about businesses outside of the U.S., you even insist on me speaking U.S. English to you to give me any business information. I know there are places you could seek this information, yet you are still incapable of telling me where there is a good pizza nearby. Going further, based on how people talk about you, I'd pretty much expect you to not only suggest a good pizza place, but give me the menu, take my order and my payment details, ask the store to deliver it to my address, and then remember my favourites for next time I tell you I feel like pizza. You're meant to be a qualified personal assistant by trade, after all. You don't even tell shops, banks or anything how to understand you, in order to make any of this possible. It's like you're just not interested in making friends. Everyone would pay with you if you'd only give them a chance. Without the ability to remember anything that I tell you, without knowing my voice well enough to be able to make payments for me when I ask and without speaking directly with the vast world of systems out there, I just can't see what you bring to the table. So that's why I'm leaving you. It's not for anyone younger... We both know you're better than Evi (though I have my eye on Majel). It's just that I think you need some time to grow up, experience some other cultures and think about what others want. Maybe when you're older, I'll be more interested. The U.S. has a First Past the Post (FPTP) voting system, which I'm sure just about everyone out there knows. It means that a candidate can win an election with a plurality of the vote, rather than a majority, i.e. the highest number of votes, rather than more than one half of the votes. - Ten candidates, who believe in Y and disagree with X, each get 9% of the vote. Who wins? The pro-X candidate. Who should win? Anyone but the pro-X candidate. That example is a bit contrived, but you only need 3 candidates to see the problem in practice. Think of Ralph Nader taking a couple of percent of the vote in 2000. Most of the Naderites would otherwise have voted for Al Gore. If that had happened, the difference in the election would have been too pronounced for Diebold to have gotten away with handing the election to George Bush. Anyway, countries like Australia have solved this by using a preferential voting system. There are plenty of ways of implementing preferential voting, and Australia's is a little bit mathematically flawed, but it's far better than FPTP. It allows voters to specify who they want to win, in a decreasing order of preference, so that if there first choice gets too few of the votes, their next preference will be chosen, down the line, until one of their preferences is in the top two. The benefit of this is that it recognises that everyone wants different things, and builds compromise into the electoral system. It seems that most Australians don't really understand how the system works, so they still vote for one of the two major parties. There are even plenty of people who complain when the system works so well that a third-party candidate actually wins a seat. But back to America... FPTP voting forces people into voting for one of two options, because anything else is a waste. It takes a massive, expensive campaign to run as a third-party candidate, because more people need to have you at the forefront of their minds than anyone else, rather than finding you the least objectionable in aggregate. So, why not have a third-party primary league? Get all the free-thinkers, radicals, liberals, crackpots, conservatives, fascists and civil libertarians who are not affiliated with the establishment to joust it out to see which one of them gets to compete in a given election against the establishment. It could be the latest reality TV show, which would solve the problem of publicity and allow the winner to compete on a relatively even playing field. If the compromise results for the third spots were good enough, and some of the candidates started winning elections, then the U.S. might even consider moving towards a preferential voting system overall, which would break the back of the two-party system once and for all. It could be called Little Brother.